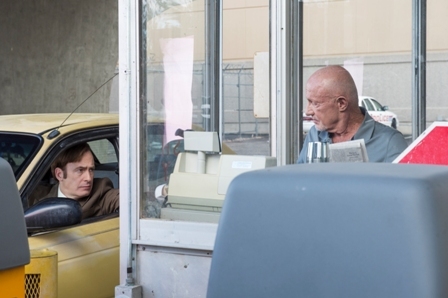 After last week’s awesome episode of Better Call Saul, the season finale had a lot to live up to. I’m going to be completely honest and say it didn’t quite do it. 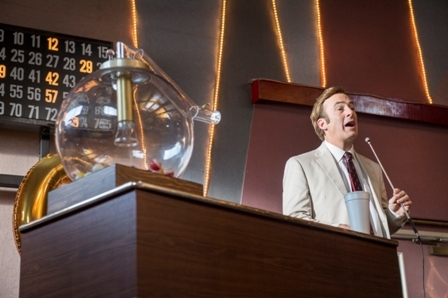 While last week went a long way in deepening the character of Jimmy McGill, this week did a quick turnaround and propelled him into Saul Goodman. At least it seems like he’s on the verge of becoming Saul. They didn’t use the name yet, but considering the entire episode referred back to his time as Slippin’ Jimmy in Chicago, which is where he originally came up with that name, I’m going to infer that’s the direction they are going. I had a feeling the show was going to quickly head that way, but I’m not sure they needed to do it so abruptly. The show has already been renewed for a second season so there’s some time to continue building the story of Jimmy’s transition to the Saul Goodman we know from Breaking Bad. What was missing from this episode, unlike last week, was the emotional impact of Jimmy’s downslide. Don’t get me wrong, I did enjoy the episode, it just didn’t have the bang I was expecting from the season finale. The best moments of the episode came in the first half when Jimmy was hosting bingo at the retirement home. He delivers a hilarious monologue where he explains how he landed in prison and had to be bailed out by his brother. It’s probably the craziest reason for incarceration that I have ever heard and something I would have never guessed it in a million years. It also didn’t have anything to do with Jimmy’s con man activities. I like that subtle touch that Jimmy went to jail for something other than conning people out of their money. It fits the character, both on Better Call Saul and Breaking Bad, that he has always been able to skate under the law in that respect. I loved the scenes where Jimmy was reflecting on his life, but I didn’t love that he went back to Chicago to relive his glory days with his pal Marco (Mel Rodriguez). I just didn’t buy that Marco’s (also the title of this episode) death was the catalyst for Jimmy’s turnaround. Maybe I just didn’t feel like I knew the character or Jimmy’s past well enough, but I just wasn’t able to connect with Jimmy on the whole thing. I already got in last week’s episode that Jimmy would start to feel like doing the right thing wasn’t worth it, so I didn’t need it stretched out into a montage of Jimmy and Marco’s week of cons. Granted, I did see the turnaround to the dark side coming. That is a foregone conclusion, but I was expecting that maybe there would be something to connect him and Mike (Jonathan Banks) as partners in crime, but I guess that’s to come later. There was a nice moment where Mike told Jimmy that he didn’t take the money from the Kellermans because he was hired to do a particular job and that’s all he was going to do. That is the essence of Mike. He might not always be on the right side of the law, but he has a code of honor and he follows it. It’s a cool counterpoint to Jimmy and why I’m looking forward to them working together. 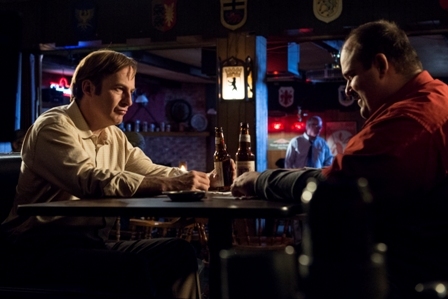 So that’s it for the first season of Better Call Saul. While I didn’t love this episode, I did really like the season as a whole and I can’t wait to see where they are going with it. Though it looked like Jimmy was well on his way to becoming Saul Goodman by avoiding a legitimate job offer, I think there are a lot more twists and turns to come. I’m still wondering what will come of his brother Chuck (Michael McKean). Is Chuck still around, but never seen, in the days of Breaking Bad or does something happen to him? I’m looking forward to finding out.